With yet another large company going down amid accusations of corruption, mismanagement and incompetence, we will, yet again, ask why. Yes, again, the same answers will be provided; yes, again they will be meet with universal agreement; yes, again, the day after tomorrow ‘business as usual’ will be resumed, and, yes, again, a few months later another company will go down in nearly identical circumstances. Businesses being “run” by people whose only talent is playing the political game. Organisations being “led” by those who have no idea about the most important parts of leadership. Cultures being “managed” by those who have not the first notion of what culture is. Corporations being “stewarded” by those utterly devoid of ethics. It’s not that we don’t have the above knowledge, we do. What we lack is any structure to compel those in positions of “leadership” to learn and apply the knowledge. Our ongoing lack of any system to compel effective leadership costs our economy, huge amounts, over and over again. Let’s take just one aspect of leadership, inspirational vision formation. Did the company concerned have an inspirational vision? You already know the answer to that question! What did they have? Any vision? You already know that one, too. Surely a person who does not understand ‘ inspirational vision; inspirational future’ is un-appointable as a leader. SURELY! Every shareholder wants the best possible performance from their investment. Some shareholders understand this link: inspirational vision; inspirational future. Surely no investor would appoint a leader who didn’t understand the link; who hadn’t demonstrated their ability to craft an inspirational vision; who didn’t have an inspirational vision for the company that they wanted to lead. Surely? Alas, thousands of institutional shareholders do exactly that every day of the week. And then, when it all goes wrong, as it must, they are surprised to learn that everyone and their dog, knew, apart from them; everyone, they discover, was aware of the blindingly obvious observation: inspirational vision; inspirational future, (and its corollary: no vision; no future), as if it was some startling new discovery! Of course, in the very best companies, the idea of having to compel leaders to lead by crafting an inspirational vision is a ridiculous notion; only the most effective leaders rise to the top. And they become the best because (among other reasons) they have sought out, learned about cutting-edge vision formation techniques, and have taken the time to master those techniques. For instance, in the elite companies, ask any leader what a powerful vision must consist of and you’ll get a pretty good account. In the rest of the corporate population you will be fobbed off with a non-answer (a political side step) to the question. If you are keen to be an effective leader, this will help. 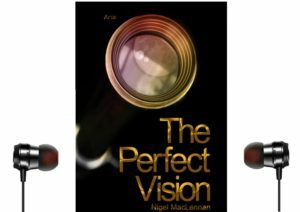 Nigel MacLennan’s ground-breaking work, The Perfect Vision, which, for the first time, lays out the factors of successful visions, the position of vision in the leadership mix, and how to craft yours, is now available in audio book format to Psyperform clients who attend the The Perfect Vision development programme. Will you be one of the next batch of leader who acts on the obvious principle: inspirational vision; inspirational future? Will you be one of the few leaders who knows how to create a compelling vision; one of the few leaders who really understands leadership? 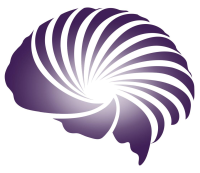 As is the case with all recent Psyperform works, the cutting-edge tools we develop are only made available to clients. Why? It is ethical to ensure that ONLY our clients get access to the methods we have developed to give them a huge competitive advantage. You can have a FREE sample of the chapters The Perfect Vision by sending the words “FREE Sample Audio Version of The Perfect Vision” to contact Psyperform . If you want to know immediately about the The Perfect Vision development programme, designed to enable you to understand how to, and then to craft an inspirational vision to create an inspirational future for your company, you can enquire via contact Psyperform .